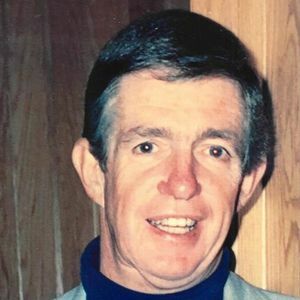 Home Hudson Richard McCarthy, 79, of Hudson and Dunedin, Fla.
Hudson – Richard Timothy McCarthy (Mac), 79, born April 29, 1939, of Hudson and Dunedin Fla., formerly of Marlborough, passed away April 6, 2019 from complications of dementia. He was predeceased by the love of his life, his beloved wife of 31 years, Linda Quinn-McCarthy (L.J.). He leaves his step-daughters, Geodi (Johnston) Pellerin and son-in-law Keith, of Northborough and Jennifer Johnston and son-in-law Jim Higgins, of Marlborough; seven grandchildren whom he adored and who referred to him as Popeye; and two great-grandchildren. He was also predeceased by his siblings, Paul, Margaret and David, and his father, Florence, and mother, Mary, from Marlborough. He proudly served in the United States Air Force for six years. Before his retirement he worked as a carpenter. He was an avid athlete who enjoyed golf, water and snow skiing, and was a member of Fort Meadow ski club for many years. He was a huge Red Sox and Green Bay Packers fan. Mac loved people and always offered a smile. He was willing to do anything for anyone. He loved to read and was never without a book in his hand. He was a regular member at the Italian American Club in Marlborough and the American Legion in Dunedin, Fla. Calling hours will be Tuesday, April 16, from 5-7 p.m., at Slattery Funeral Home, Inc., 40 Pleasant St., Marlborough. There will be a private service at the Bourne National Cemetery at a later date.